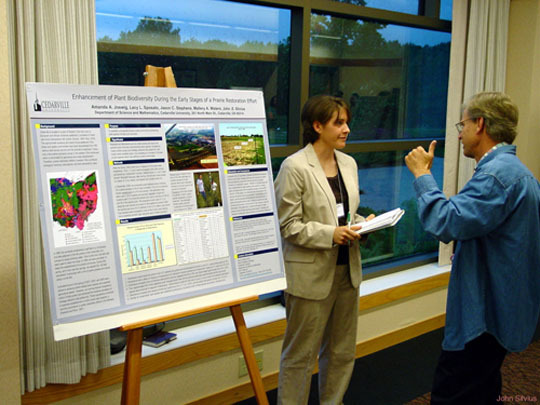 The 61st Annual Meeting of the American Scientific Affiliation was held at the Prince Conference Center, Calvin College, Grand Rapids, Michigan on July 28–31, 2006. 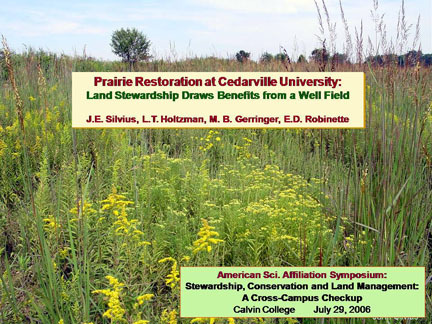 We were invited to participate in a Symposium entitled "Stewardship, Conservation and Land Management: A Cross-Campus Checkup." The symposium focused both the ethics and the application of biblical environmental stewardship toward the land and facilities which have been entrusted to us on our campuses. Presenters represented both evangelical Christian and secular institutions across North America. Our 30-min oral presentation is referenced below. 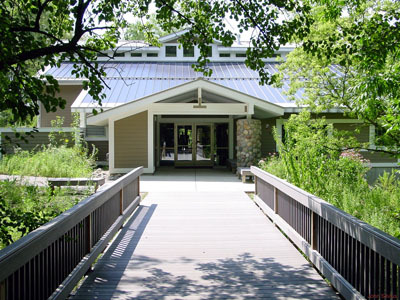 The symposium was held in Calvin College's relatively new Bunker Interpretive Center (above) which is a marvelous example of how facilities can be constructed and maintained with a smaller environmental "footprint" while serving to bring visitors in contact with the creation and our stewardship responsibility in a meaningful way. Our oral presentation (below), presented by "yours truly" was one of over a dozen presentations addressing ways in which campus land and facilities can be managed to enhance creation care. In the following pages, we describe more recent and current projects. The calender permited Amanda Joswig to represent our student research group of five students to present our results in the form of a poster (photo above). Abundant opportunity was provided for her to interact with interested visitors who attended the poster session. Human stem cell research (e.g. Rudolf Jaenisch discussed the Altered Nuclear Transfer (ANT) approach which seeks to avoid ethical objections to the use of human embryos). Dr. Francis Collins, former director of the Human Genome Project, was the featured speaker of several plenary sessions and discussed implications of the human genome map for human origins. 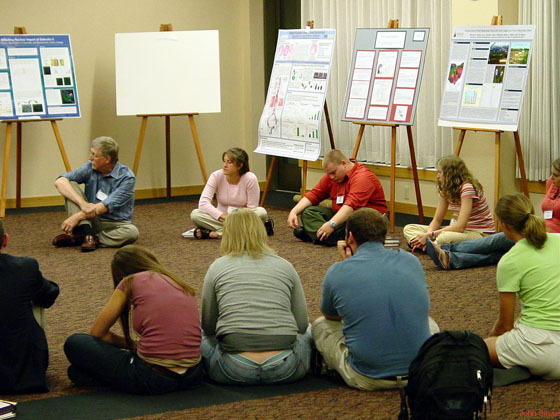 Amanda was among a group of undergraduate and graduate students who were invited by Dr. Collins to join him on evening for a Q/A session (photo, above).